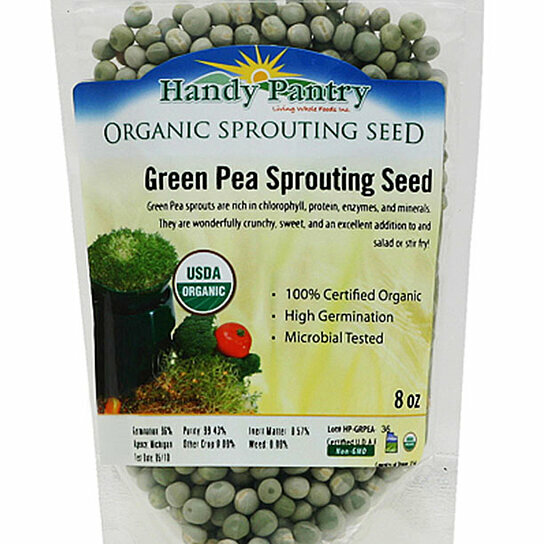 Dried Organic Green Pea seeds to make green pea sprouts are perfect for sprouting, gardening, soup, food storage & more. The Green Pea Sprout has a high germination rate. Green Peas sprout well using the jar method, tray method or by using the Sprout Sack!! Green pea sprouts have a delicious crunchy mildly sweet flavor. Growing salad sprouts. Survival food storage. High germination rate. Sprout cooking.